$25 through Nov. 23, $35 after. The Downton Abbey Exhibit is coming up! The exhibit is on display in CityPlace in the former Macy’s building located at 575 Rosemary Ave. (the NW corner of Rosemary and Hibiscus St.). .
You can reserve your place by sending a check, made out to Brenda Keeter Martinson, to 711 Hummingbird Way #108, North Palm Beach, Fl. 33408. Contact Keeter at (561) 844 3713 if you have any questions. The Deadline to reserve your place is Nov. 20, 2018.  Tuesdays 1:00 – 5:00 P.M.
 Wednesdays 11/14, 11/28, 12/5, 12/12 only 6:00 – 9:00P.M.  Thursdays 11/1, 11/15, 11/29, 12/13 only 6:00 – 9:00P.M.  Fridays 9:00 A.M. – 12:00 P.M.
 Saturday December 15th 10:00 A.M. – 12:00 P.M.
 Thursdays 9:00 A.M. – 4:00 P.M.
 Tuesdays 9:00 A.M. – 12:00 P.M.
 Fridays 1:00 – 5:00 P.M. These events have been organized and staffed by Epilepsy Florida with assistance from Covering Florida. After a marathon September, covering successful voter registration events all over Palm Beach County, the Voter Services Committee did not apply any brakes in October. Haitian community outreach programs via church congregations, speaking events and voter registration proved worth the effort. Pam Maldonado, Linda Prior and Arlene Ustin led the effort with Pam and Arlene even appearing on Haitian Christian radio stations to urge registration and voting. Call-ins were grateful for the outreach and information provided. The Committee hit young voters where they live – on their cell phones! Based on past success with texting campaigns that produced high conversion rates, Phyllis Applebaum and Marc Brunner generated a user friendly database of young registrants from this year’s VS events. Marc sent texts to the database list on the first day of early voting and reprised the effort before Election Day. The Committee is exploring options with the State LWV for electronic texting campaigns in the future to expand and automate the process. Welcome to the 21 st century! Election Week was the culmination of all of 2018's hard work. “Parties at the Polls”, was a focus of LWVFL, #Votetogether and Civic Nation and the LWVPBC VS Committee up to Election Day. A Columbia University study indicated that voter turnout is increased when food, music and fun activities are held close to polling locations, especially in areas where turnout is historically low. Voter Services held events on 11/4 in Riviera Beach and Belle Glade, and 11/6 in Greenacres. Funding from an NGO has been made available for these events. Events were coordinated by Marcia Halpern in Riviera Beach, Teri Mitze in Belle Glade and Pam Maldonado in Greenacres. Every LWV chapter in Florida held similar events. The LWVPBC Voter Services Committee is taking a well-earned break for the rest of the year. Look for us on the beach, with Margaritas in hand! 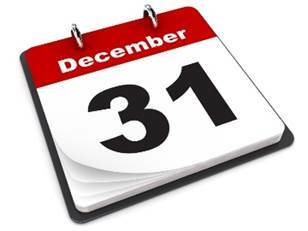 NOVEMBER, DECEMBER AND JANUARY MEETINGS ARE HEREBY CANCELLED! 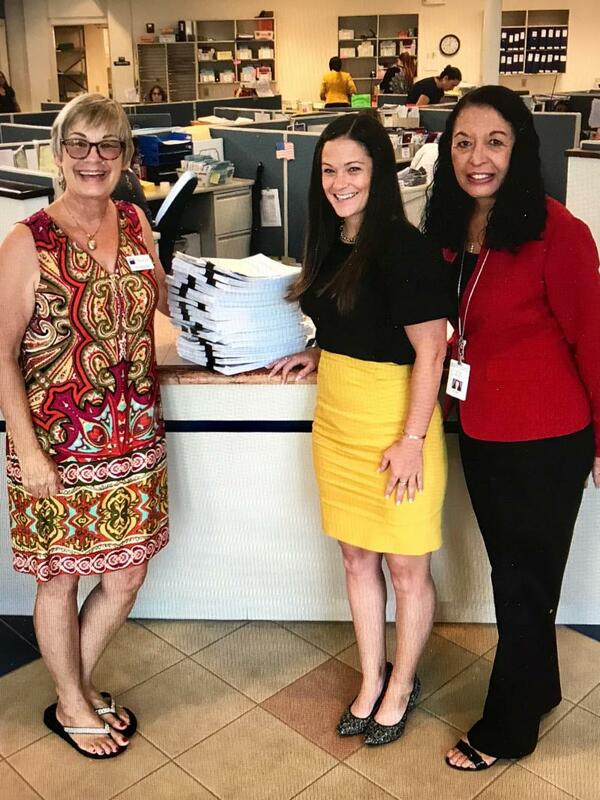 Pictured above, l to r. Pam Maldonado , Voter Service Chair, Lori Dool , Palm Beach County School Board Program Planner, & Susan Bucher , Palm Beach County Supervisor of Elections. The next Orientation for New Members and others interested in the League is February 9, 2019 at Palm Beach State College, Lake Worth. Registration begins at 9 a.m. The program starts at 9:30 a.m. and ends 12:30 p.m. To RSVP contact: Darlene Kostrub at dkostrub@aol.com or 561-852-0496. NAME TAGS ARE IN …for those ordered before October 1. They will be available at the Hot Topics Luncheon, November 28. If you want yours mailed, let Darlene Kostrub know and mail a check for $5 made out to LWVPBC, c/o Dorneth Weir, 9433 Worswick Ct., Wellington, 33414. Thanks to the generosity of our Board member, Rebecca Cohen, LWVPBC has a new laptop computer for use by the Speakers' Bureau. Rebecca is assisting the League with grant writing and also serves as a speaker for the Speakers’ Bureau. Tom Gabor , Ph.D. and LWVPBC member, is a Criminologist and Sociologist, as well as a noted international expert on gun violence. His latest book, Confronting Gun Violence in America , is Amazon's #1 new release in Criminology. 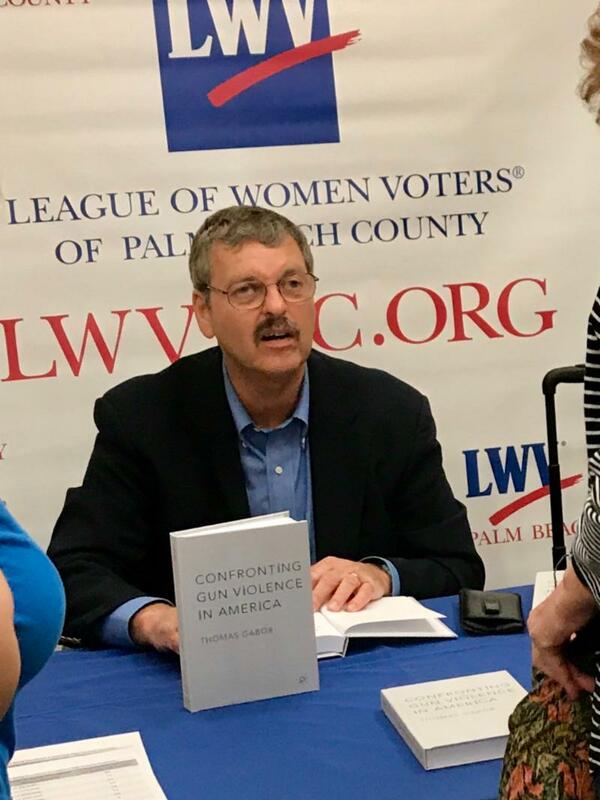 Tom spoke recently at a League of Women Voters event in Sarasota where he gave two talks, had two book signings and two interviews with local media. The topics covered included licensing gun owners, trends in gun violence and the position of the two parties on gun policy over the last 50 years. To view his presentation, please click the button below. 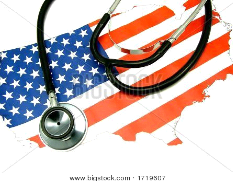 Before the holidays are upon us and since the election is over, let us sit back and ponder for a moment how fortunate we are to live in this great country. With all of her faults and flaws, the United States remains a bright example of a democratic republic. May we find the patience to break bread and enjoy fellowship with friends and family who do not share our personal points of view.